Thanks to the collaboration with Renting Colombia SAS, the leader in the vehicles marketing and rental, and to the partnership with IMOCOM, importer of industrial vehicles and machinery, O.ME.P.S. 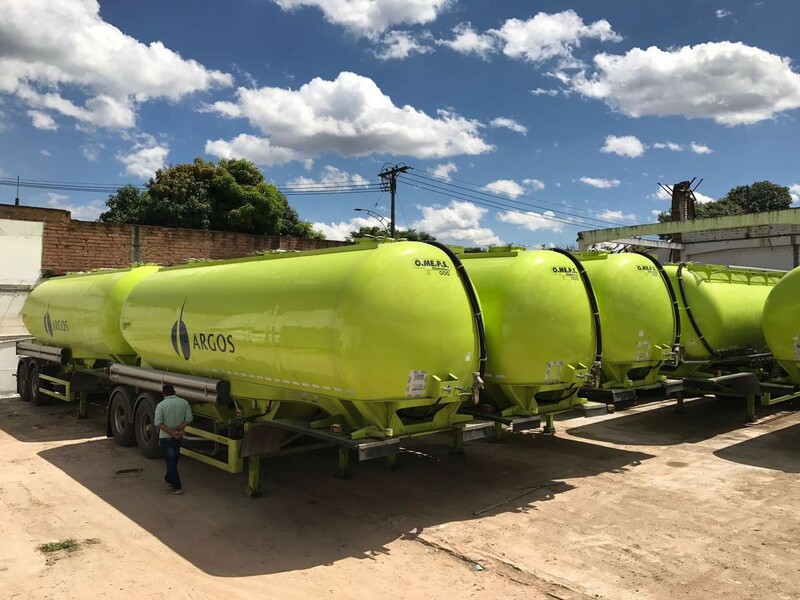 landed in Colombia with the first supply of 10 silotrailers model MCE35RC, specifically designed for the South American market. Argos Cement, the end user of O.ME.P.S. cement trailers, will benefit of the advantages that inspire each project branded O.ME.P.S: delivering innovative solutions with a flexible approach in order to reduce the discharging time and maintenance costs of silotrailers, thus ensuring the efficiency and durability of the vehicle silo over the time. The advantages of the O.ME.P.S product and the philosophy behind it, the precision of execution and the fast delivery are the factors that have driven Renting Colombia S.A.S. and IMOCOM to choose O.ME.P.S, which boasts thirty years of experience in the design and construction of silotrailers exported worldwide. Last summer delivery to Medellín’s port is just one step of the bigger project of penetration into Colombian market and promotion of the brand O.ME.P.S overseas that will also include in the near future Peru, Ecuador, Costa Rica and Venezuela where O.ME.P.S is already present with its silotrailers.